With the same design and quality of the Cashel Crusader® pasture fly mask, your Quiet-Ride™ mask can be worn over or under the bridle and will not impair your horse’s vision. 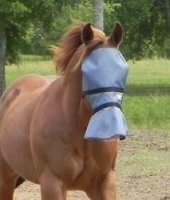 Wearing his favorite brand of fly mask while under saddle, your horse will be confident flies will not bite him, reducing insect driven head tossing and giving you a much quieter (and safer!) ride. 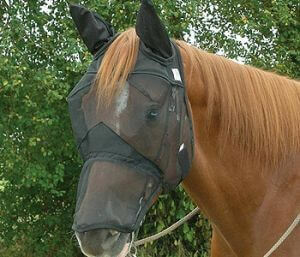 A must-have for horses suffering from Head Shaking Syndrome.